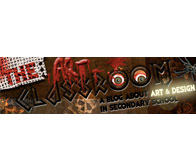 A blog about art & design in a secondary school. This art class blog shows the day to day workings of an art classroom. All pupil work shown is copyright of the pupil.